As a modern company, Clearwater Cleaning has invested in the use of the latest professional cleaning equipment which allows access to hard to reach areas and is suitable for both domestic and residential cleaning. These tools enable safer and more efficient cleaning and ensure better results for our clients. 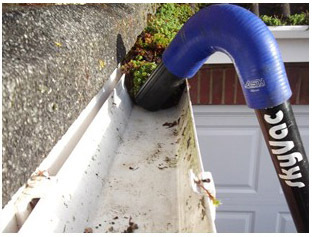 Skyvac is a suction based gutter cleaning system which allows guttering to be completely cleaned from the safety of the ground. This system also incorporates the use of an inspection and camera system to ensure quality assurance and accurate results. An extendable pole based cleaning system using soft bristled brushes and a stream of pure water. The main advantage of this system is that windows stay cleaner for longer and window frames and sills can be cleaned on every visit while maintaining privacy for customers. The system can be adapted to clean conservatory roofs, gutter fronts, fascias, surrounds and all hard to reach areas from the safety of the ground. 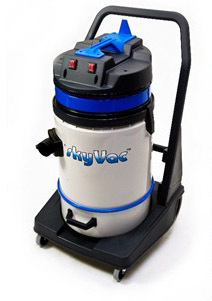 This also allows easy cleaning for commercial signs and storefronts as required.